This year’s awardees include 10 students, from the University of Toronto’s departments of molecular genetics, computer sciences, chemistry and biomedical engineering (IBBME), who are doing their doctoral research in the Donnelly Centre, it was announced by Professors Brenda Andrews, Director of the Centre and Christopher Yip, Director of IBBME and the Chair of the Yip Doctoral Award Committee. The award recognizes outstanding students at the very start of their doctorate degrees who pursue inter-disciplinary research to address fundamental questions in biomedicine. “It was both challenging and exciting for the committee to rank and review the applicants for these awards. The breadth of the proposed projects and the caliber of the applicants really reflected the outstanding interdisciplinary research in the Donnelly, and how it is attracting top graduate students to the University of Toronto,” said Professor Yip. 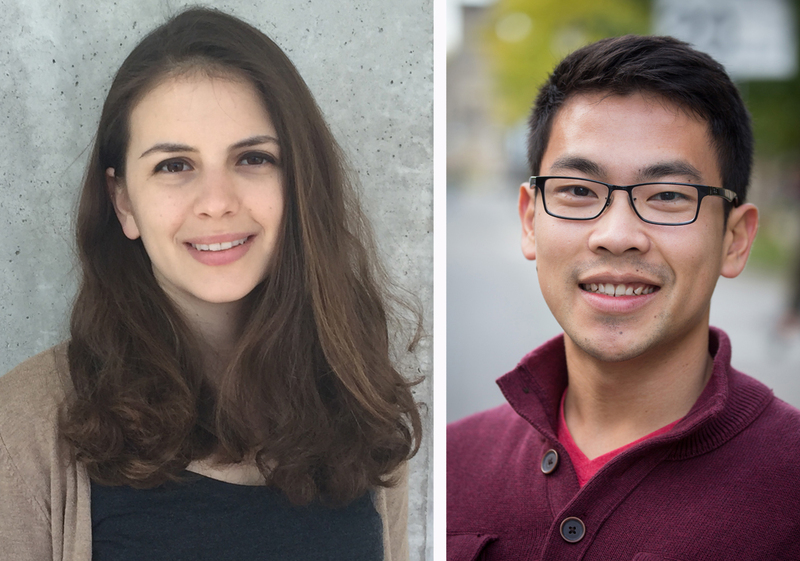 Thuy Nguyen and Benjamin Piette Advances in genomic technologies have allowed scientists to get a holistic view of molecular changes that occur in cells when, say, a gene is mutated, in order to understand how genes, and their protein products, orchestrate cellular life. Thuy Nguyen (Boone lab) is investigating how different combinations of gene losses affect cell survival to shed light on previously unexplored genetic interactions, whereas Benjamin Piette (Taipale lab) is mapping protein interactions that control a key cellular process, during which proteins are folded into three-dimensional molecular machines. 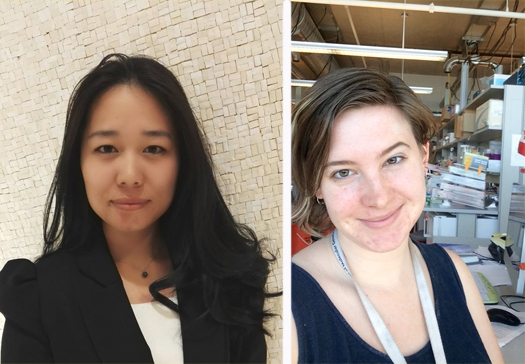 Yutong Ma and Margot Lautens Yutong Ma (Caudy lab) is analyzing cell’s metabolic networks to gain insight into some of the most basic biochemical processes that power our cells. And Margot Lautens (Fraser & Caudy labs) is studying metabolic networks that operate under low oxygen in search of drug targets that could be used to attack parasitic worms without causing side-effects to human hosts. Learn more about the last year's winners of the Yip Award. James Morrissey-Scoot and Laura Smith Being able to model a disease in a dish — by growing cells from a tissue stricken by the disease — lets scientists not only get to the molecular roots of the condition, but also to test drugs in search of potential treatments. In order to speed up progress in understanding some of the most debilitating diseases, James Morrissey-Scoot (Gilbert Lab) will develop a recipe for growing muscle cells from patients with Duchenne muscular dystrophy, whereas Laura Smith (Shoichet lab) will use biomaterials to create three-dimensional scaffolds, on which she hopes to grow the elusive glioblastoma cells, taken from the most deadly type of brain cancer for which there is no treatment yet available. Nil Sahin and Ben Ouyang Ben Ouyang (Chan lab) is tackling cancer by researching if nanoparticles can be used to poison the tumour’s immediate environment in order to stall its growth. And Jeff Wintersinger (Morris lab) is developing advanced machine learning to backtrack the genetic evolution of cancer and find exact genetic changes that helped a particular cancer metastasize or become drug-resistant. Progress in biology and medicine is increasingly driven by advances in computational sciences that yield new ways of analyzing the growing amount of data. Chris Cremer (Morris lab) is developing machine learning algorithms to automate the analysis of patients’ medical records in order to be able to predict patient health in the future. And Nil Sahin (Andrews and Morris Labs) is teaching computers how to spot the slightest differences between millions of cells that carry single, or combinations of, genetic mutations to shed light on how genes regulate cellular events. The award was established as a tribute to Professor Cecil Yip, who was the former Vice-Dean, Research in the Faculty of Medicine and a key player in both the ideology and eventual realization of the Donnelly Centre. Learn more about the Yip Doctoral Research Award.